I started this blog on February 9, 2013. Reading back over my first few posts, it’s tempting to think about how far I’ve come since then. Clever, hardworking college graduate seeks job…finds one? When I started Story Addict, I had just moved to Washington, D.C. for one last semester before graduation. Like most new graduates, I was concerned about making the shift to a young professional. To be honest, I still am. And I’m still feeling out the specifics. Over the past year, I have experience with the “grown up” workplace–I’ve worked as a Knowledge Management intern writing case studies that went to the Inter-American Development Bank, I’ve managed social media and offsite sales for a Fair Trade boutique, and I’ve learned more about the life of a social media, writing, & editing freelancer. Which I’m doing right now. I’ve found that I love the process of editing–and I’m really good at it–plus I enjoy the freedom of freelancing, being able to set my own hours and work on a wide variety of unique and interesting projects. Currently I’m considering going for a copyeditor’s certificate (while I can proofread basic grammar usage, I am primarily a word choice and developmental editor, and have not yet internalized Strunk & White nor any specific style guide). If I do choose to work as a freelance writer and editor fulltime–effectively leaving my DC job search in the nonprofit sphere–I’ll probably move back to Wisconsin. There’s no reason to sustain a Washingtonian cost of living when I telecommute. There are plenty of contacts I’ll want to maintain–not to mention friends, who I will really miss. Part of the reason I’ve put off thinking seriously about moving back is how much I’ve enjoyed building a social circle in Washington. It’s a delightfully geeky, brainiac social circle. But I have geeky friends at home, too, and I know members of my family remaining in Wisconsin would like to have me closer, especially after the difficult year 2013 was. 2013 was also a year of travel–my first time in a foreign country, as well as lots of hopping around to California, the Midwest, and one trip to Las Vegas (for a funeral, unfortunately). Keeping friends on every side of the continent will be earning me frequent flier miles in the future, to say the least, but I am really okay with that. It’d probably be the decent thing for me to start buying carbon offsets, though, after what I’ve learned about carbon emissions in the Washington Semester. Hopping back to the writing: even as I interned this summer, I spent a lot of time focused on writing projects and communication. This perhaps should have been a hint. My two big projects of last year were crowdfunding campaigns, two of which earned more than $1,000 each–a charitable one through IndieGoGo, and crowdfunding for self-publishing the Starter Guide through Kickstarter. Then, of course, writing the Starter Guide. I’ve average about 150,000 written words a year since high school, and 2013 was no exception, but 97,000 of those words were in the Starter Guide. I wrote only a handful of short stories–but the ones I did write, I enjoyed extremely. Plus I did a lot more nonfiction writing than usual (unless school assignments count–and I won’t have to do those again for a while! ), including 74 posts on this very blog! Meanwhile, I also dabbled in romance–under a separate name, as usual, which I try to keep disassociated from this one. This means as much as half of what I’m doing with writing happens “under the water,” so to speak, and this blog is only the tip of a very deep iceberg indeed. When I first started this blog, it was partly to keep track of three (or four?) series of interconnected stories. All of these series are close to completion, with only a handful of stories left to go in each. A Dark and Wonderful History still has 4 more stories to write–two more than I had in February 2013. The reason for the apparent backslide is that my concluding piece, “Sanction,” was broken into two, with less pressure on either half (trying to combine shapeshifters, Fascists, a crumbling monarchy, minor miracles, and angels into one story was becoming strained). “The Imperial Engine” will be taking up some of the burden. I still haven’t finished the Frankensteinean historical “Homunculus’ Mother,” either, and I now have on last story to fill in the gap that comes after “The Godslayer’s Wife.” Finally the Godswar will be told, by a woman who adds a refreshing perspective, I hope, to round out the cast of this series. I finished one more story in Across the Curse-Strewn World–“For Lost Time,” which was sold to Beneath Ceaseless Skies for publication sometime in 2014. Just this past month I’ve completed the third and final story, “The Grace of Turning Back.” I still have two more stories, prequels of sorts, to round it out, plus a short/flash fiction taking place in the same world. Writing “The Grace of Turning Back” may have made me cry at a few points. Meanwhile, “For Lost Time” includes a journey to the Kingdom of the Dead, a nation in exile, and an entertaining digression on who people do and do not dance with. I haven’t gotten very far with Heart’s Kindred at all, and the series is on a back burner for now. I did sell some of the completed stories in the series–“An Honorable Aunt” to Silver Blade and “Through the Father Range” to Alban Lake. I have one short story (“Uncle Ouvin”) and two novellas to finish, all big propositions with many new and old characters and several crucial decision points for protagonists Rathan and Anweth. Plus, I’m not quite sure how to defeat the monster in “Ouvin” yet, even with the help of the two spymistresses. A fourth short series, “Wizards Among Us” (as I’ve nicknamed my collection of stories setting “in this world or slightly askew”), received a bit of love as I reworked “The Family.” I’ve also touched at wider worldbuilding issues for several individual stories. I may release the full collection in an ebook in a few years–time will tell. In 2013 I also worked on a number of science fictional stories and saw publications in venues like Daughters of Icarus, Perihelion, and Scigentasy. As I may have forgotten to mention, “The Astrologer’s Telling,” which received an honorable mention in the Dell Magazines Undergraduate Excellence, has been accepted for forthcoming publication from Daily Science Fiction! I haven’t written any new stories in the setting of One Hundred Days (I do have one yet unpublished, “Close Study,” which shows some backstory of a crucial character in the novel and introduces one character I just really like a lot). I did complete on-paper revisions, and am currently making my way through something like the third-and-a-half draft. This, I tell myself, as I do each February, will be the year I really, really finish it. I did reprint a number of stories last year, and I hope to do some more in 2014. If you find any “dead links” in my Publications List, do send me a note and I’ll amend them. By the way, if you’re interested in One Hundred Days, The Starter Guide for Professional Writers, or my short stories, you can arrange to get email updates on their publication status by asking to hear “When Your Next Book Comes Out” through my Newsletter. 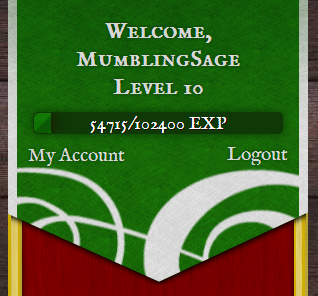 Last but hardly least, I’ve made it to Level 10 in GetYeDone, though I’ve recently stopped listing minor tasks on the website in favor of tracking them on paper.